Maribel has been a pharmacist for 18 years. She is a graduate of the University of Santo Tomas in the Philippines with a BS degree in Pharmacy. Maribel completed her pharmacy internship at San Gabriel Valley Medical Center and passed her California Pharmacy board exam in 1999. She went on to work for the Rite Aid Pharmacy chain for 10 years before moving on to the specialty pharmacy field, working for Bioscrip Infusion Services in their transplant therapy department. 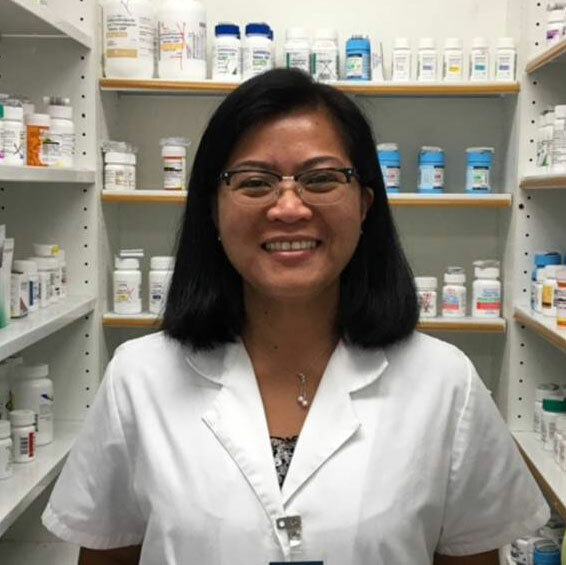 After taking a break to give birth and to care for her son, Maribel returned to the specialty pharmacy field, working for ADRX Pharmacy where she gained additional knowledge and experience in HIV therapy. She joined the QHI family in 2014 and continues to make significant contributions to the company with her knowledge, experience, and compassionate care for her patients.